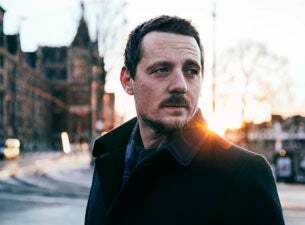 By the time the dust cleared, Sturgill Simpson was the last “outlaw” standing in Charlotte. His hour and fifteen minute powerful set saved the day at the PNC Music Pavilion on Saturday evening. The original outlaws dropped like flies as the showdown in Charlotte, NC approached. Elvis Costello & The Imposters and Brandi Carlile pulled out because of unforeseen circumstances. They were replaced by acts of lesser notability. Even the headliner, Willie Nelson, pulled out at the last minute. More on that later. Sturgill Simpson and his band came out and started up with “Welcome To Earth (Pollywog).” Simpson proceeded to take us on a journey of his unique country repertoire. It was a roller coaster of his blazing guitar solos to his soulful slower tunes. They continued with “It Ain’t All Flowers” and “You Don’t Miss Your Water.” At points during the show, Simpson’s lyrics were inaudible over the PA system. It was probably due to the mix and nature of the outdoor venue. As Simpson tuned his guitar, he said “It’s humid.” He could tell that the humidity was changing his tuning. Plus, his hair being fully soaked in sweat was a telltale sign of the humidity too. “Turtles All The Way” from 2014’s “Metamodern Sounds In Country Music” and “Breakers Roar” from 2016’s “A Sailor’s Guide To Earth” got the crowd up on their feet. Simpson really let his soulful voice shine with Willie Nelson’s “I’d Have To Be Crazy.” It’s odd that the only Willie song at a Willie headlined concert was performed by Sturgill. Simpson jokingly asked the crowd, “We have 25 minutes left. Do you all want three or four songs or two good ones?” Little did Simpson know, he could have played the rest of the night – with the events that were about to transpire. The last song of the evening was “Going Down,” a Freddie King classic. It was an energetic and extended jam session. All members of the band got to solo as Simpson jumped all around the stage riffing. Sturgill Simpson and his band put on an amazing performance. Simpson showed that the future of “real” country music is in good hands. Willie Nelson and Family were supposed to close out the show. But, as it has been well documented, Willie Nelson refused to perform. At 9:45pm Nelson and band came out. Nelson went to pick up Trigger, his signature guitar, but just turned around and went in the back. Then at 10:01pm, Nelson came back out and picked up Trigger and his guitar strap. He just casually put Trigger down and angrily slung his cowboy hat into the crowd and stormed to the back. At 10:31pm, the announcement was made that the show was called off and will be rescheduled. An alleged illness was the reason given by promoters and PR reps. Let’s face it, there were better ways that this could have been handled by all parties involved. It would have been better if Willie, himself, made the announcement – or if an announcement was made earlier in the day. News went viral and was picked up by local outlets and national sites – even international. There are many conspiracy theories swirling around social media on the “real” reason why Willie did not perform. Fans were instructed to keep their tickets until a rescheduled date could be announced. Let’s hope that the next date is more of a success than this one.